MSC 4001 was built in 1959 & originally named 'Alnwick Castle'. It is located outside Winfields outdoor shop at Haslingden on a short piece of track. 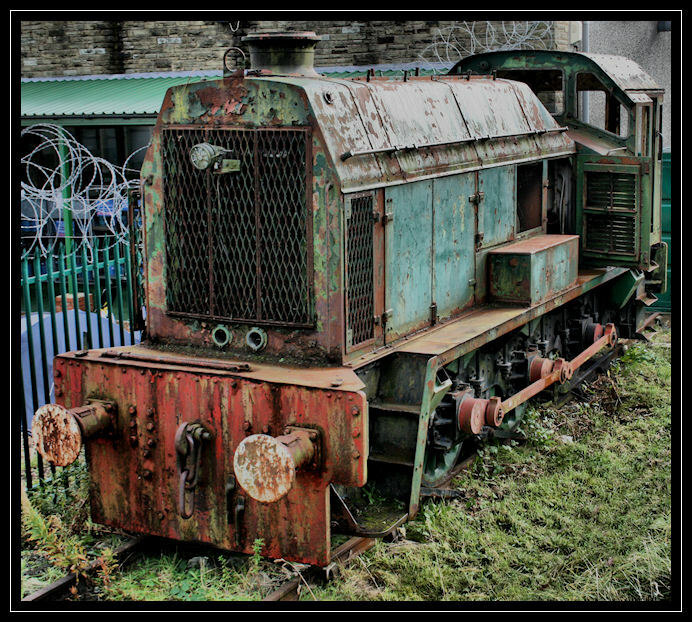 This locomotive is the sister to 4002 currently preserved a few miles away at the East Lancashire railway. 76* Nameplate ALNWICK CASTLE, was an ex Manchester Ship Canal Diesel Locomotive, and was built by Hudswell Clarke. Works number 1075/1959 0-6-0 DE No. 4001."